India remains committed to the doctrine of credible minimum deterrence and “no first-use”, as enshrined in the decision taken by the Cabinet Committee on Security in its meeting chaired by the then Prime Minister Late Atal Bihari Vajpayee on January 4, 2003. More than two decades ago on May 11, 1998, Former Prime Minister, Late Atal Bihari Vajpayee with a straight face announced to the World that India has successfully conducted the landmark Pokhran-II nuclear tests at the Pokhran Test Range in Rajasthan’s Jaisalmer district. A series of five nuclear explosions were conducted between May 11 and 13, 1998. May 11, 1998 the day of first of the five explosions was officially declared as the National Technology Day. More than a decade later Arihant was launched on July 20, 2009, the anniversary of Vijay Diwas (Kargil War Victory Day) by the then Prime Minister of India, Dr Manmohan Singh. The journey of Arihant dates back to the 1970s when nuclear submarine programme code-named Advanced Technology Vehicle (ATV) was conceived by the then Prime Minister, Late Indira Gandhi. The 30,000-crore Top Secret project was established in 1980s. After fitting out and extensive sea trials, on February 23, 2016, Arihant was certified fit for operations. INS Arihant was then quietly commissioned on August 26, 2016. 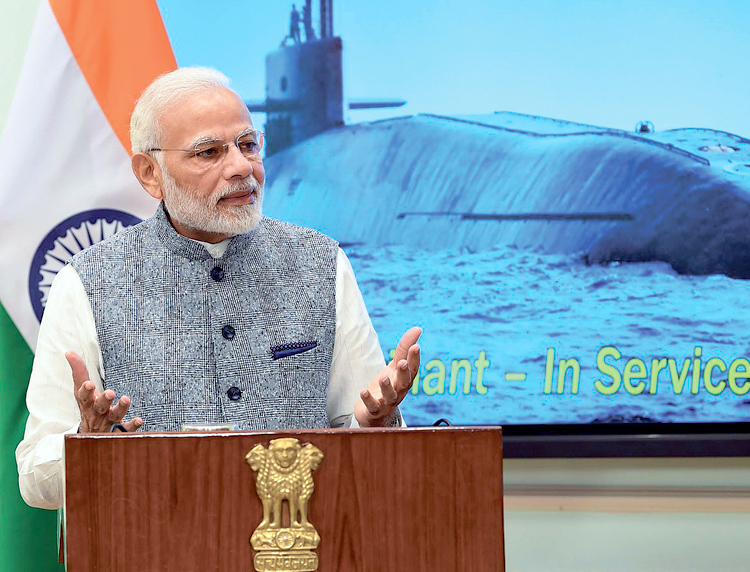 Two years later, on November 5, 2018, Prime Minister Narendra Modi proudly declared to the World that INS Arihant, India’s first Nuclear Ballistic Missile Submarine, has successfully completed its first deterrence patrol, which signified the underwater predator had undertaken its maiden long-range mission with “live” nuclear-tipped missiles embarked onboard. 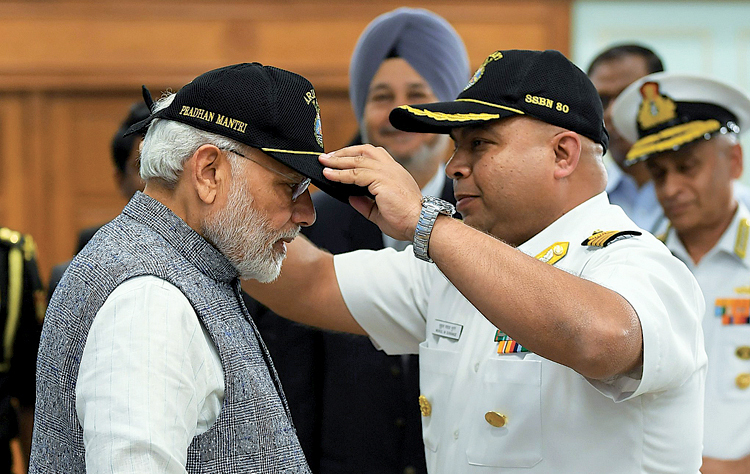 He added, “I congratulate all those involved, especially the crew of INS Arihant for this accomplishment, which will always be remembered in our history.” The 6,000-tonne INS Arihant, comes under the direct control of the Nuclear Command Authority with Prime Minister Narendra Modi at the helm. The Prime Minister added, “Today is historic because it marks the completion of the successful establishment of the nuclear triad. India’s nuclear triad will be an important pillar of global peace and stability.” “As a responsible nation, India has put in place a robust nuclear command and control structure, effective safety assurance architecture and strict political control, under its Nuclear Command Authority,” said a PMO statement. “India remains committed to the doctrine of credible minimum deterrence and “no first-use”, as enshrined in the decision taken by the Cabinet Committee on Security in its meeting chaired by the then Prime Minister Late Atal Bihari Vajpayee on January 4, 2003,” it added. Over a month-long patrol by INS Arihant (which means annihilator of enemies), armed with the 750-km range K-15 missiles, incidentally, came at a time when a Chinese submarine was once again found prowling around in the Indian Ocean region (IOR). China has deployed at least eight submarines, alternating between nuclear and conventional diesel-electric boats, in the IOR under the guise of anti-piracy patrols since December 2013. While the missile ranges of INS Arihant pale in comparison of over 5,000-km ranges of submarine-launched ballistic missiles (SLBMs) held in the arsenal of the US, Russia and China, Prime Minister Modi had Pakistan in mind when he said the nuclear submarine is a counter to nuclear blackmail. The land-based Agni-V missiles, with the over 5,000-km, categorised as Inter-Continental Ballistic Missile which has been in the armoury of India for long is now in the process of being inducted, as also the fighter jets jury-rigged to deliver nuclear weapons. The stealthy sub-surface capability with INS Arihant provides far greater nuclear teeth and credibility. As per the US Navy’s hull classification a submarine capable of deploying submarine-launched ballistic missile with nuclear warheads is known as the Submersible Ship Ballistic Missile Nuclear (SSBN). Thus SSBN, the sub-surface leg of the Nuclear Triad is considered the most secure, survivable and potent platform to launch retaliatory strikes. India has pronounced its nuclear doctrine of “no first-use.” Hence, in the Indian context the first two legs viz; land-based missiles and fighter-bombers could possibly be neutralised or destroyed by pre-emptive enemy strikes, the SSBNs can remain insulated and undetected for indefinite period deep down in the oceans. The most significant feature of the SSBNs is its prolonged sub-surface endurance remaining undetected. The only limitation to the underwater endurance of SSBNs is caused by the physical and mental fatigue of their crews. Conversely, it is far easier to detect conventional submarines because they have to surface or “snorkel” every few days to get oxygen to re-charge their diesel-electric batteries. India, of course, is building far bigger nuclear submarines with longer-range missiles than a “baby boomer” like INS Arihant, which is propelled by an 83 MW pressurised light-water reactor at its core, under the secretive 90,000 crore ATV programme. Arighat, the second in line of the SSBN programme is currently under-construction at the Ship Building Centre at Visakhapatnam. Arighat was launched in November 2017. Based on the most valuable lessons learnt from the concept to operationalisation of INS Arihant, Arighat project promises to be most efficiently managed and is expected to be operational by 2020. The SSBN programme comprises four nuclear powered submarines. The last two submarines of the series code-named S-4 and S-4* will be the upgraded variants of 7,000-tonnes with advanced weaponry and will be armed with six missiles each as opposed to four missiles each in INS Arihant and Arighat. These two submarines are expected to be launched around 2020-2022. 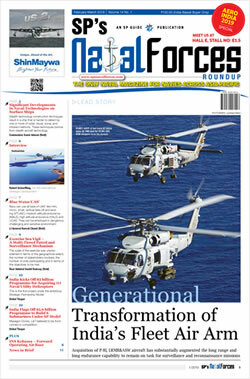 In tandem the concept design of much larger 13,500-tonne S-5 submarines is also underway. Simultaneously, India has begun testing K-4 missiles with a strike range of 3,500-km, which will be followed by K-5 and K-6 missiles in the strike range of 5,000-6,000-km. The “K” series of SLBMs, incidentally, are named after former President and the Missile Man of India, Dr A.P.J. Abdul Kalam. The criticality of SLBMS for deterrence can be gauged from the fact that even the US and Russia are ensuring that almost twothirds of the strategic warheads they eventually retain under strategic arms reduction agreements are such missiles on SSBNs. India does currently operate a nuclearpowered submarine INS Chakra, acquired on a 10-year lease from Russia, while final negotiations are underway to acquire another such vessel for over $2 billion soon. But these submarines, armed with conventional cruise missiles, do not have nuclear missiles because of international treaties. Passing through the stormy weathers, several phases of trials and tribulations India indeed has arrived at the professed milestone by becoming the world’s sixth country to successfully operationalise a SSBN. The pipe-dream of the Nation Builders is now transformed into reality. 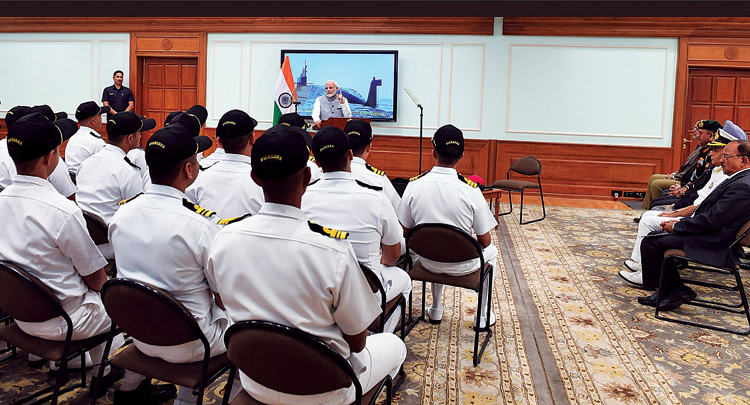 This is just the beginning of the strategic programme which has three more of the follow-on SSBNs with far greater advanced technology upgrades, specifications, capabilities, etc. Operationalisation of INS Arihant marks the growing eminence of the indigenous capabilities, infrastructure, industrial support and above all the self-reliance now in the construction of strategic nuclear submarine programmes. 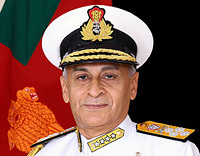 The Top Secret Project was steered directly under the supervision of the Prime Minister’s Office and involving agencies and establishments such as the Defence Research and Development Organisation, the Department of Atomic Energy, the Submarine Design Group of the Indian Navy, Directorate of Naval Design. The programme was wholly supported through design consultancy, transfer of technology, consultancy on construction and infrastructure creation and development by the Former Soviet Union and the Russian Federation. While the time over-run and the cost over-run adversely impacted the prestigious project, it received unstinted and continuous support by successive Governments of India, many regime changes in the Former Soviet Union and the Russian Federation never impeded the time tested Inter Governmental Agreements. This turned out to be providential for ATVP. The most significant take away from the success of the Programme was the grooming and development of indigenous private sector companies. Many engineering giants with great sense of national pride have participated in the Programme. Role and contributions made by Larsen & Toubro befittingly deserves special mention here. The Firm, besides making huge investments in creation of infrastructure and specific facilities, technologies, niche capabilities, etc. has remained an integral part of the Programme right from its inception and continues to be so even for the follow-on programme, as well. L&T has clearly emerged as a national asset as for the indigenous submarine construction capability is concerned. Sensors and Processing Systems BEL USHUS Integrated Sonar; Indigenous Sonar and tactical weapons control system with active, passive, ranging, surveillance and intercept sonars and underwater communication system. Programme The second submarine of the class, reportedly to be named INS Aridhaman has been launched. Two more submarines of this class are expected to follow.